Body Brite is located in Omaha off of 147 & Maple. I recently met with Micki, the owner, and her staff to learn about their services. Body Brite offers services such as Oxygen Therapy (facials), Teeth Whitening, Permanent Hair Removal (using Intense Pulsed Light) and Skin Rejuvenation (using Intense Pulsed Light). Body Brite is a franchise located in eight countries worldwide. It started internationally and the Omaha location was one of the first ten location in the United States. Micki is proud to say that in May 2013, Body Brite received the Best of Omaha award after only being in business for six months. I learned a little about each service and got to try the Permanent Hair Removal. The teeth whitening uses light to lighten the color of your natural tooth enamel. It takes 1-3 sessions to lighten teeth, but I understand most see several shades of lightening with the first treatment. Skin Rejuvenation applies small pulses of light to the skin which is transformed into heat. The heat helps stimulate new elastin and collagen. This is used to help eliminate fine wrinkles, reverse sun damage and can help with skin tone. It also helps with sunspots and helpe decrease pore size. Treatment is 6 sessions. Oxygen Therapy uses herbal serums and pure oxygen to activate cell and collagen production. They call it botox in a bottle because this facial focuses on eliminating fine lines and wrinkles. Treatment is 6 sessions. One client who was leaving when I was at Body Brite was telling Micki about her first Oxygen Therapy session. She loved it and couldn't believe how good her skin already looked after only one treatment. It was a totally unsolicited testimonial and she was thrilled to be undergoing the treatment. The Hair Removal was the treatment I tried. I was so excited to learn that after treatment, 90-95% of people will have permanent hair loss in that zone. I tried a test patch on my underarm, leg and face. First you ice the area to cool it and then the light zaps the hair down to the follicle. I couldn't believe that in only a couple pulses (zaps) of light, the hair was gone in the test patches. I was a little nervous before trying this, but I found it to be painless. Once you ice the area a little bit, I could feel the heat from the light, but that was all. Even the face was pain free. Treatment is 9 sessions. Micki shared that after three treatments, most people find all the hair to be gone, but they can't quit then because the follicles will grow back a few times before being done. It takes the full 9 sessions for true results. Come and experience our IN approach: Intelligent, innovative, inspiring andinclusive. Whether you’re a man or a woman, whatever your skin type, ethnicity or age, we have the very best skin treatments available so your inner beauty shows on the outside, too. 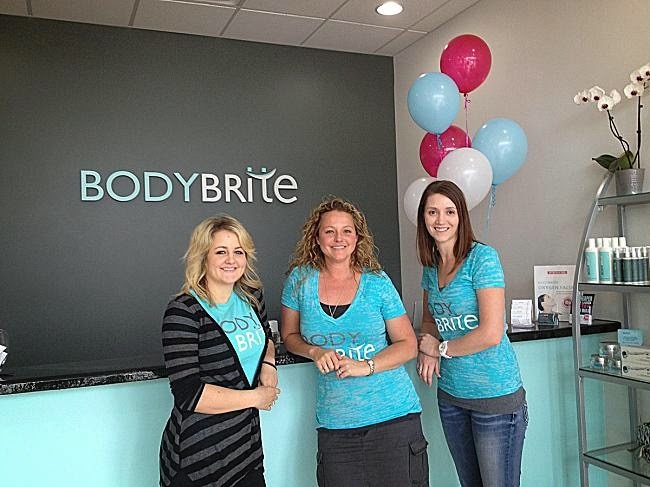 Some other Omaha Bloggers also gave Body Brite a try. 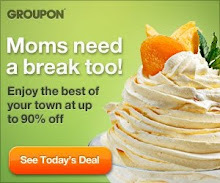 Be sure to check out their reviews as well. SensoryMamaSavingCents tried the teeth whitening. LPO Beauty tried hair removal. Now for the giveaway. Be sure to enter using the Rafflecopter below for your chance to have the treatment of your choice, valid at the Omaha location only. Disclosure: I was provided a complimentary treatment in exchange for my review. All thoughts and opinions are my own. Thanks for the information about the underarms. I really wanted to try the underarm, but glad to know how much it would really cost. I would love underarms treatments. They drive me crazy at times. This would be a great way thing to try! A Hair removal treatment would help me prepare for my cruise in September.